Heather’s experience and insight will drive true take-home value at your event. 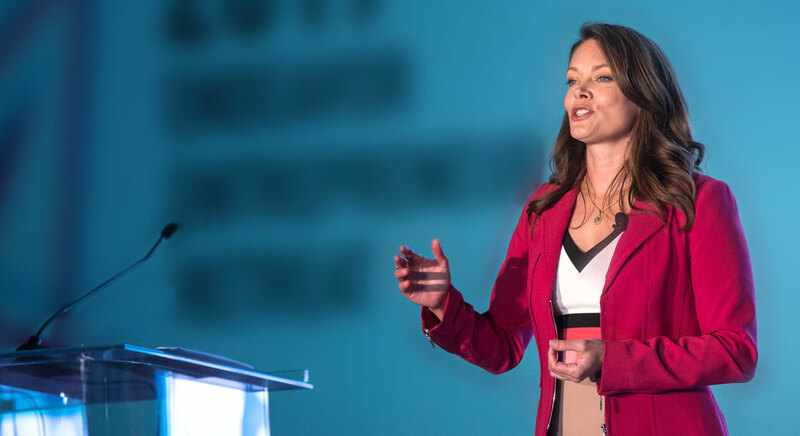 An entirely self-made “girl from Idaho,” Heather grew her Caspian Agency into the elite 3% of women-owned businesses in the US with over $1 million in revenue. She’s worked with world leaders, enterprising billionaires and the United Nations, and has earned the wisdom that comes with building a business from nothing but grit and vision. Now she’ll share it with you. Luck may help people get ahead, but Heather Mason’s advice is far more reliable – and more engaging as well. A self-powered success, Heather rose through the ranks of marketing, film and event producing before stepping out on her own. Now CEO of a global agency, she shares the stories and solid advice she’s gathered along the way. The secret of public speaking isn’t just in what you say, but in what you’re doing while you say it. A frequent speaker and dynamic, accessible presenter, Heather guides you through the positions of a successful presentation. With over two decades in the events industry trenches, Heather is a highly sought consultant, trainer and CEO of her own successful agency. Her proprietary methodology for event strategy, the Caspian 10 Essentials™, is taught internationally. Hear her inspiring stories from the field while learning how to fuel a fulfilling career.